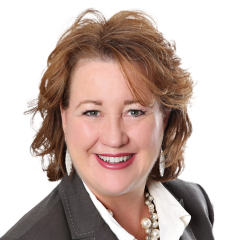 Meet the Team | DiMascio Group Real Estate | RE/MAX Escarpment Realty Inc. If you’ve answered yes to any of the questions above, then you’ve come to the right place! We have a passion for assisting clients with various real estate needs. We are trusted and well trained professionals who strive to provide you with the best solutions. Clients are impressed by the dedication and effort we put into making sure that they receive top quality service and amazing results. Explore our website to find detailed listing information, buying guides, selling guides and other features that suit your real estate requirements. Discover why we love real estate and why we are the best choice for you. I would like to take this opportunity to introduce myself and the valuable services that I have been providing for home buyers and sellers. My name is Debbie DiMascio and I know that you have endless options for choosing a realtor. What differentiates me is my uncompromising approach to your real estate needs. I act on your behalf as though I am buying or selling my own home. It is this "put the interest of the clients first" that allows me to be more patient when looking for that dream home for you and more frugal and demanding when negotiating the sale of your home. - Locating suitable homes, properties and vacant lots for future development. - Negotiating, on your behalf, the most financially agreeable terms for the purchase of these properties. - Identifying and screening prospective buyers for your home. - Sourcing finance options for home purchases. - Professional staging to accelerate the sales process. - Open houses and other marketing and promotional strategies. - Market and home evaluations. Please allow me the opportunity to present to you my value proposition and the comprehensive strategies that I employ to find the "perfect home" for home buyers and to generate the most number of potential buyers and highest price for home sellers. I look forward to building a great partnership with you. As a RE/MAX Sales Representative I know all there is to know about the "Neighbourhood". From local amenities, fun places to shop, great contractors, fabulous restaurants, great schools, beautiful parks and more! I’m here to ensure we find You a perfect home in a "Great Neighbourhood” for you & your family to enjoy for years! I’m a Full service Realtor, I take this responsibility seriously. I invest a great deal of time ensuring I see many listings in the neighbourhood. I’m competent when it comes to negotiating the right price for the right home. Knowing and seeing many neighbourhood homes secures I understand property values. My speciality is Resale homes, Condo’s, Investment properties & First Time Buyers. My background is Marketing, Finance & Computers. I’m analytical by nature with a strong marketing background. I’ve worked for large corporate IT firms, balanced million dollar budgets & negotiated multiple vendor contracts. I’m proud to say I work for the largest RE/MAX office in our area. We are over 500 agent’s strong working together between 7 different offices. We have in house Lawyers, Mortgage Brokers, Bankers & Marketing staff –all playing a pivotal role in getting my clients great rates & support for a purchase or sale. My extensive community knowledge combined with the RE/MAX resources guarantees I’ll have the skills & means needed to market your home effectively. When it comes to Real Estate, I believe the key element is developing strong relationships and building trust with my clients. I know how to listen & always put the needs and wants of my clients first. I truly enjoy what I do -Helping clients make the best informed decision is a great feeling! I am dedicated to meeting all of your Real Estate needs and committed to serving you with Honesty, Integrity, and Professionalism. I believe this personal commitment I give my clients is what keeps them recommending me to all of their friends and family. 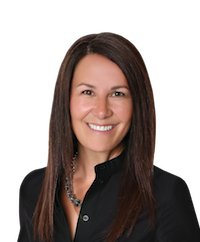 Terri entered the real estate industry following an accomplished 14 year career at MolsonCoors in numerous Sales and Marketing roles, delivering successful National campaigns while managing a large cross-functional team. She brings strong communication and negotiation skills with a background in strategy, research and event execution understanding hard deadlines and most importantly, superior customer service. These skills combined with her passion for life (through a lot of laughs) and understanding how to create an exceptional experience from start to finish is what sets her apart. 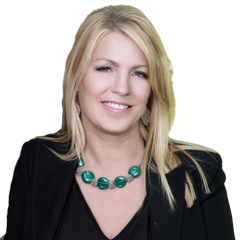 Growing up in Niagara but living in Toronto then Oakville for 15 years gives Terri extensive knowledge of the 905 Area. She has solid knowledge of schools, sports programs, restaurants, recreational and cultural facilities around the Golden Horseshoe and is often called on to put together travel agendas or wine tours for her friends outside the Region. She began investing in residential and commercial properties in 2001 and always knew she’d be involved in real estate. Terri is a graduate of the University of Western Ontario. The mother of two girls and married for 15 years. Terri and her husband enjoy live music, skiing, golfing, cooking and fine wine however spend most of their free time following their kids to hockey rinks across Ontario. 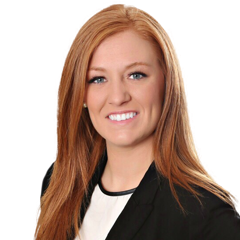 We are happy to welcome Alysha DiMascio to our growing team. Alysha graduated from George Brown College and Niagara College with her focus in Events & Marketing. She has mastered working in high stress environments during her wedding & conference planning days and has brought over her impeccable customer service skills and attention to detail. She is a kind and caring person that connects to everyone she meets. Her passion for helping people shines through in her day to day tasks. Alysha married into the family in 2016 and resides in Grimsby with her husband Nick.